The supermarket shelves carry a plethora of cleaning agents for the household. These cleaning agents give different promises and you’re likely to reach out for more than one of these in your quest to have a clean home. These cleaning products have chemicals in them which aren’t the best for the home or the environment. Although you can’t completely do without them, you can, however, minimize their use. Here’s how you can adopt ten ways of naturally cleaning your home with the use of chemicals. #6 Clean a microfiber sofa. #2 Kitchen exhaust hood filters. Scrub the interior of your fridge with a solution made from 2 tablespoons of baking soda dissolved in a liter of water. Use a soft cloth for wiping. To get rid of odor from your fridge, you can keep a piece of coal inside. Other products that will get rid of smells include lemon slices, pieces of dark bread and glasses of baking soda. Use pure vinegar to clean and disinfect your toilet. Mix one-fourth glass of hydrogen peroxide with 1 tablespoon of liquid soap and half a glass of water. For cleaning superficial dirt on the tiles, put this mixture on a sponge and scrub the affected areas. Rinse off with water. For stronger dirt, put the mixture on the affected areas and leave for ten minutes for the dirt to loosen. Repeat the process and finally wash off with water. 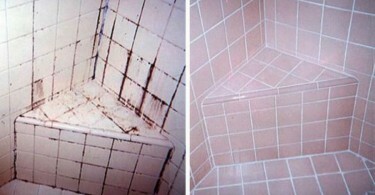 Mix equal parts of vinegar and water and spray on the bathroom tiles every two weeks for a cleaner bathroom for longer. Put some ammonia in a bowl and leave it overnight in your oven. Next morning, open all the windows to get rid of the smell of ammonia. Wash your oven with gloves on. 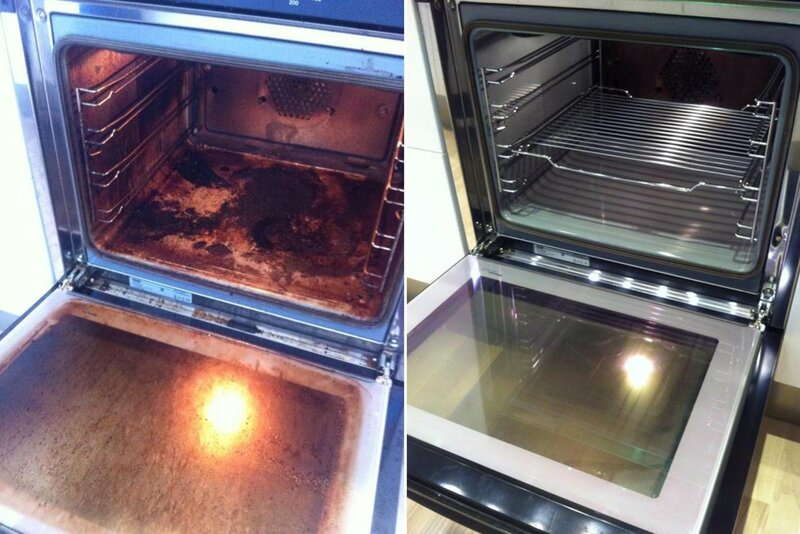 Your oven will restore its clean and sheen. Put some isopropyl alcohol on a sponge and rub the affected areas on the microfiber sofa. To get rid of odor, add some baking soda before you scrub the stained areas. Wear a pair of gloves and dip a cotton bud into ammonia-anisic drops. Now rub the greasy spots on the stove knobs. For harder to reach areas, use a toothbrush and a sponge. Mix 235 ml 3% hydrogen peroxide with 3 tablespoons of baking soda. When the baking soda dissolves, add one drop of liquid detergent. Give a good shake and spray on the affected spots. Leave for 5 to 10 minutes. Vacuum the remnants of baking soda. Fill the kettle half way or up to three-quarters with vinegar and water in equal parts. Cork the nose of the kettle and boil till the furring inside doesn’t come off. Rinse the kettle well afterwards. In a big pot, boil water and slowly pour in half a cup of baking soda with a spoon. Put the filters in the boiling water and the dirt will start to dissolve. Remove the filters from the fire after a few minutes and repeat the process if necessary. If the grease was too strong, soak the filters in hot water mixed with half a glass of ammonia. Take care to use gloves and mask and keep the windows open. A great dish-washing mixture consists of one part of baking soda with three parts of dry mustard seeds. You can store this in a bottle with holes in the lid. Got any cleaning hacks to share? Comment in the section below.